It has been exactly one month since I installed OpenOffice, as described in OpenOffice First Impressions. Since then I have been using Writer for all of my word processing requirements. I had a few occasions to create new spreadsheets using Calc, but I did not need to use any of the other applications. The documents that I was working with were all relatively simple, and I was using both the Windows version and the Linux version equally. I am using the OpenDocument format to save all of my files. The only downside to this is that I cannot open these files on my Windows Mobile PDA :( Furthermore, I cannot find any OpenDocument readers for Windows Mobile. I did not originally envisage this problem! One of the web sites that I visit most often using my PDA is Wikipedia.However, I only realised this week that there is an excellent version of the web site that is designed for mobile devices! The address is mobile.wikipedia.org. m.wikipedia.org also works, but it gives an information rich web page that is more similar to the desktop version of the Wikipedia home page. Like many people, I have a very large collection of MP3s on my computer. I diligently ripped most of them from the original CDs, and I ensured that the ID3 tags were set correctly. My ripping software automatically gets this information from a database on the Internet, and I am really only interested in the artist name, album name, song title, track number, genre, and cover art. I share my MP3s with my family, so the MP3s get played on several different computers using different MP3 players, and they also get played on several different types of mobile devices. Everything works really sweetly because all of these MP3 players can read the ID3 tags. 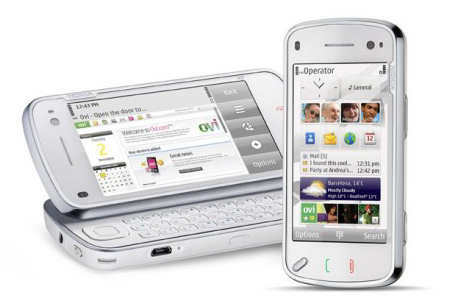 When I bought my HTC P3600 PDA, which runs Windows Mobile 5.0, I also bought a large miniSD card to hold a selection of my MP3s. I was really annoyed the first time that I played an MP3 on it, because the default MP3 player does not use the cover art contained in the ID3 tags! This is another sad instance of Microsoft ignoring a well established standard! After doing some searching on the Internet I found a simple hack that works if all of the MP3s that share a cover art are in the same directory. Extract the cover art image from the MP3. This is easy to do using the MP3 player on my computer. Save the image as Folder.jpg in the directory containing the MP3s that share this cover art. The image will usually be approximately 300px by 300px. I have since discovered that the MP3 player in Windows Mobile 6.0 does not use the cover art in the ID3 tags, but the same workaround described here enables it to display the cover art! I just read TechCraver Review: BlackBerry Storm. Wow! The Blackberry Storm just seems to be getting more and more bad reviews! Actually, I do not think that I have seen or heard of a single review that was predominantly positive! The most common complaint seems to be that the touch-screen interface is far too slow, and that the text appearing on the screen while writing a message significantly lags behind the finger movements! Watching someone writing an email on a Storm is like watching an antelope trying to open a packet of cigarettes. Last weekend I had to visit my local computer store. While I was there I had a look at the Netbooks. Although I am aware of what Netbooks are, this was my first time to actually play with one. Maybe I should be ashamed of being so slow to do this! I was really impressed with the Netbooks that I saw. I focused mainly on the Windows XP ones. I think that the idea of using Linux from a performance view is great, and I love the idea of a solid state hard disk. However, I think that I still feel more comfortable with Windows. Also, there is always going to be some piece of must-have software that I need that will require Windows. I can understand why so many people are choosing Netbooks instead of regular laptops. I know many people who do a lot of travelling for work with their laptops, but all of these people could replace their laptops with Netbooks. So I can understand why Intel is getting concerned that the Netbooks are reducing demand for its more powerful, and expensive, processors. For more about this read Here Come The 12 Inch Netbooks, And Intel Isn’t Happy About It, and the associated lively discussion. This is definitely going to be my last post about the US election in 2008! However, I am writing this because it highlights a serious security risk! 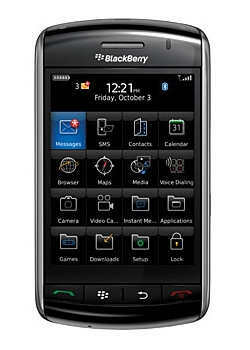 For more details about this see McCain campaign sells unwiped Blackberry for $20.